The Golden Wheel Hotel is a small romantic hotel suitable for both leisure and business travels, for individuals and families with children. The building is built in the Baroque style which perfectly fits into the historic surroundings. 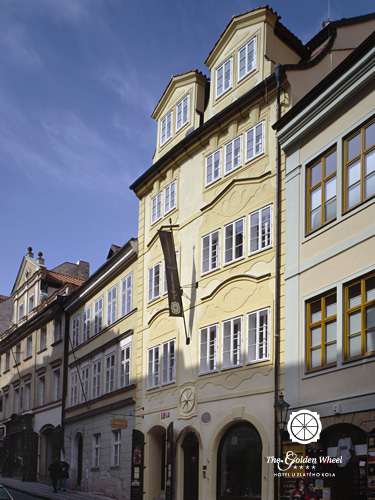 The first mention of the building dates back to the 15th century. The hotel offers 17 luxurious rooms, a cozy bar, and small garden. Parking can be arranged for a fee. 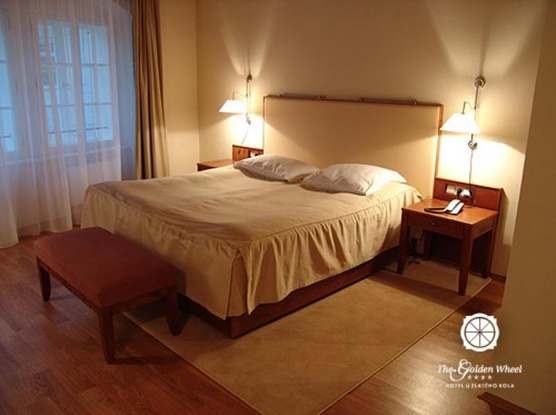 You can stay in one of the 17 luxuriously furnished rooms with a total capacity of 40 beds. 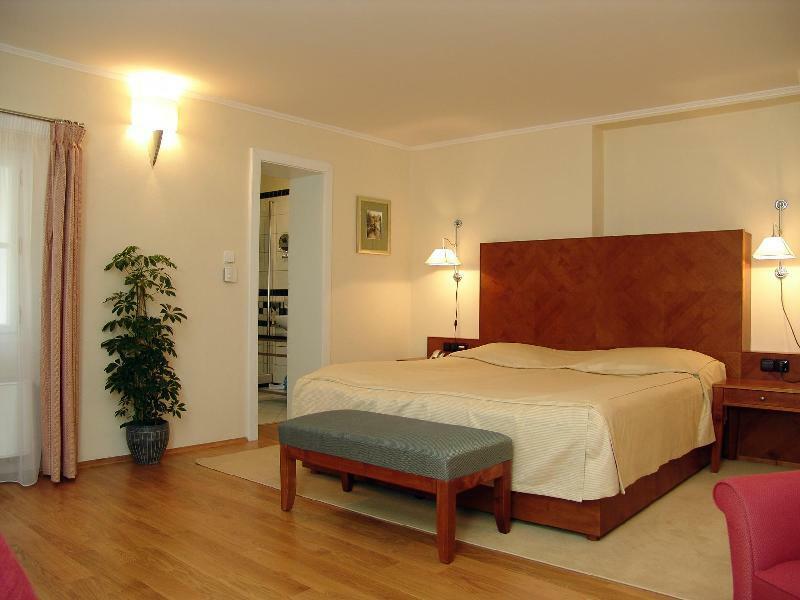 There are double rooms and suites for 2, 3 or 4 people. 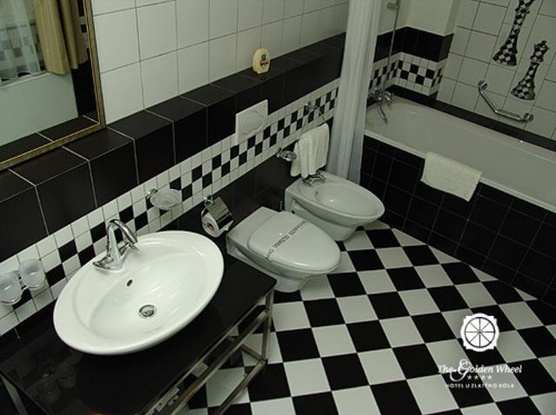 Each of the comfortably furnished rooms are equipped with a private bathroom, satellite TV, minibar, and internet access. 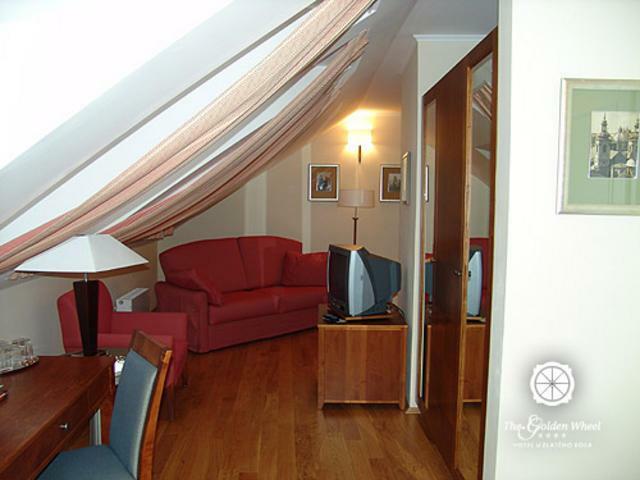 The attic rooms are air-conditioned. The hotel features only a cafe. 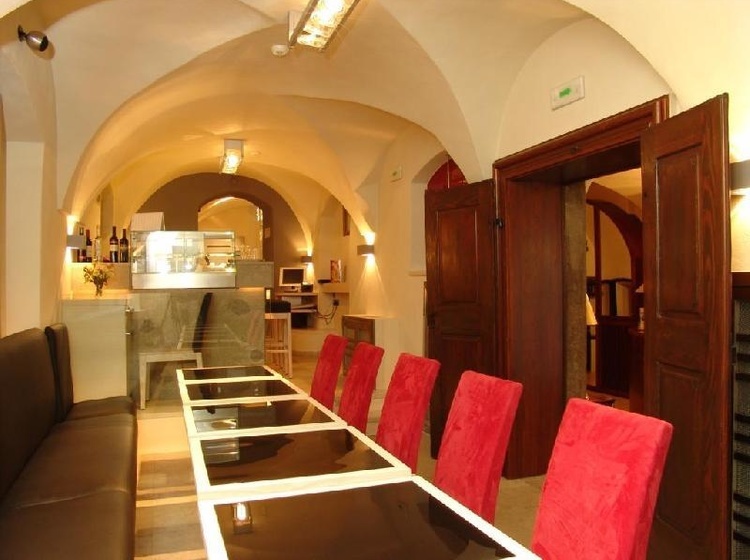 Due to the location in the city center, there is no problem in finding a good restaurant nearby. 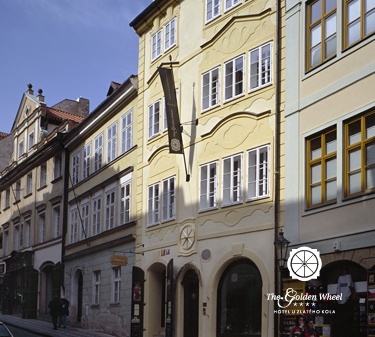 Just a few steps from the hotel, there is a few of restaurants that specialize in traditional Czech and international dishes. 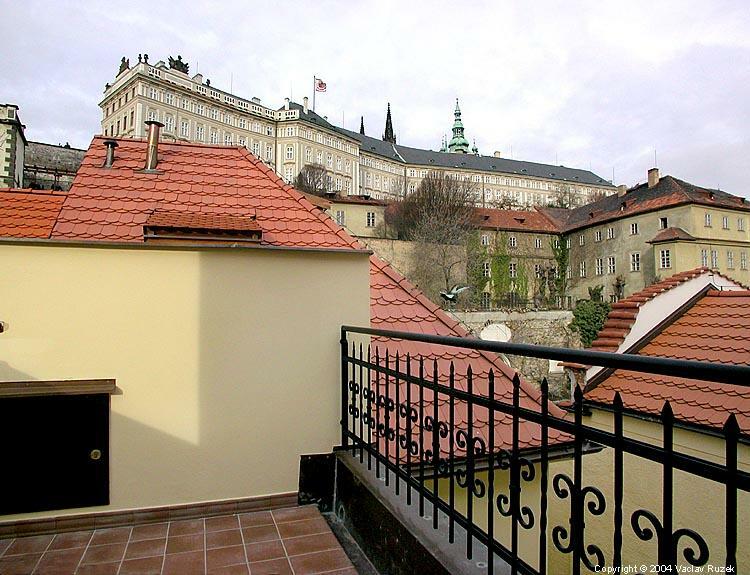 The hotel building is located in Neruda Street, one of the picturesque streets of the Lesser Town, which is a popular tourist route leading up to Prague Castle. 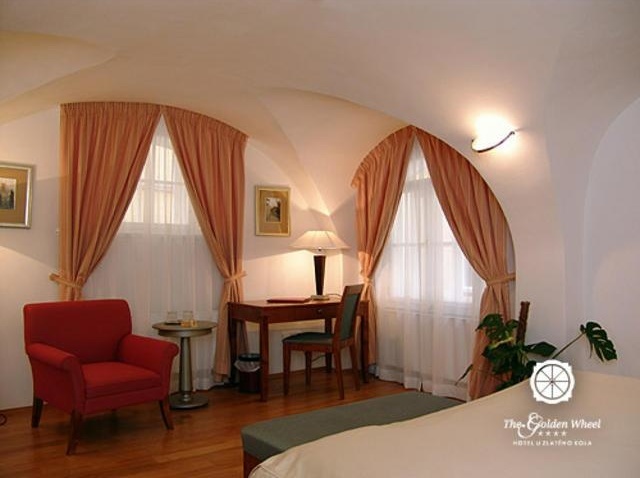 The hotel is also near the famous Petrin Tower with an adjacent park. 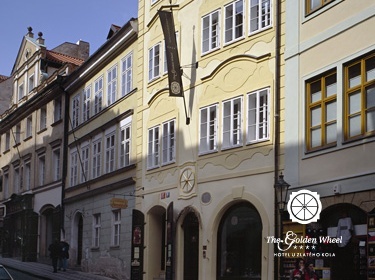 You can also visit Old Town Square with its Astronomical Clock, you can get there when you cross the Charles Bridge. You can then proceed to Wenceslas Square or the Old Jewish Quarter.